This case study outlines how we used our decades of regulatory experience to help our customer with its REACH (Registration, Evaluation, Authorisation and Registration of Chemicals) application for an enzyme developed for use in an agrichemical application. The science behind enzyme discovery and development is getting faster and faster and in turn the regulatory hurdles are getting bigger in comparison. Due to this it is often found that the main barrier is now regulatory issues rather than process or development problems when commercialising an enzyme. With this in mind, it is important for companies to ensure that their chosen enzyme development and manufacture partner has the experience and expertise to deal with this. Biocatalysts Ltd manufacture and routinely supply an enzyme to a customer for the production of a chemical. Enzymes used for this purpose need to be compliant with REACH. This meant for continued supply of the enzyme, the customer needed to complete and submit an application to REACH. Initial discussions with our customer regarding the REACH application brought to light a few difficult questions and suggested that it wasn’t going to be a straight forward process. We worked together to successfully overcome these. 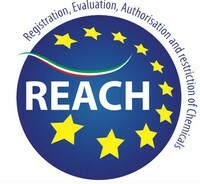 REACH was set up for chemicals which are usually defined molecules, whereas biological materials are composed of a number of compounds making applying for the legislation complicated. The regulations also only apply to the manufacture of large volumes of chemicals (> 1 tonne per year). The question therefore arose as to whether the application was in fact needed. It is easy to say if you produce 1 tonne of a defined chemical, but when you produce biologicals only a small part of the volume is the enzyme so it becomes a bit more difficult. It was unclear as to whether the 1 tonne would refer to just the enzyme or the total volume of the biologicals, which could be more than five times the volume of just the enzyme. It also wasn’t clear who should be completing the application as advice from the advisory boards wasn’t clear regarding these issues leaving us to interpret the guidelines ourselves. Another hurdle was to find a testing laboratory that could undertake the testing on biological material to produce the data required to submit as part of the application. Getting regulatory data on biological material when the regulation was never designed for this was challenging to say the least. We worked in a partnership with our customer and their end user to answer some difficult questions and we were proactive in looking for solutions. We ensured a contingency plan was in place in case the deadline wasn’t met, by producing a large volume of extra stock to keep our customer’s manufacturing processes going. All told the application took 8 months to complete and was completed on time, enabling the customer to pass the REACH legislation and supply an authorised product to the end user. Regulations can be big barriers to commercial enzymes within various industries, not just chemicals. Working with a partner that understands regulations will ensure enzyme development and manufacture projects run smoother, especially when there are time constraints. Biocatalysts has a dedicated regulatory department with extensive experience and expertise in handling the regulatory issues that arise during projects. Our team keep on top of all regulatory developments via our long-term membership of AMFEP (the Association of Manufacturers and Formulators of Enzyme Products). We attend all AMFEP meetings and use relevant information for the benefit of our customers.